While many cities are concerned with the human and economic impacts of panhandling, scarce research has gathered information directly from those who panhandle. Researchers at the Indiana University Public Policy Institute partnered with the Coalition for Homelessness Intervention and Prevention, and Downtown Indy, Inc. for a pilot study to better understand those who panhandle. Outreach staff for homeless service providers took to the streets of downtown Indianapolis on three separate days in June 2017, August 2017, and December 2017 during lunch and after-work hours. 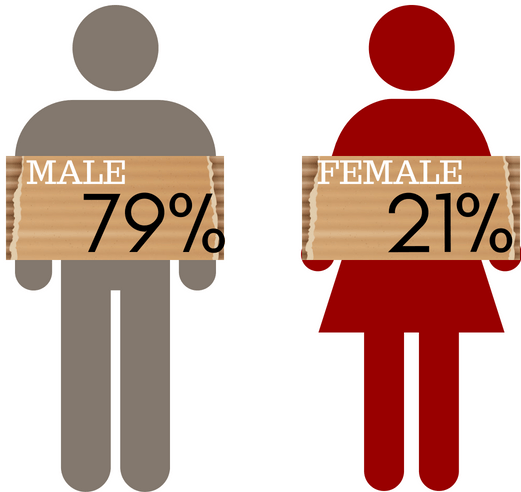 Of the 73 individuals approached who were panhandling, 49 agreed to participate in the survey. The findings are reflective of the self-reported information from those individuals and provide a better look who is panhandling in Downtown Indianapolis. 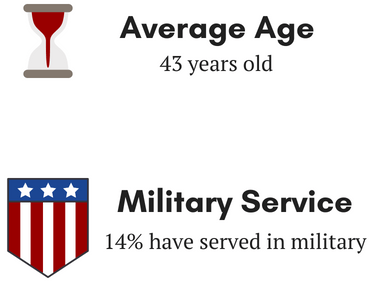 The average age for the surveyed population was 43 years old, more than three-quarters of the respondents were men, and 14 percent have served in the military. The female survey participants tended to be younger than the males. When asked in what general part of town they tend to stay at night, 63 percent said they sleep around downtown Indianapolis, 31 percent said somewhere else in the city, and 6 percent usually stay out of town. These high numbers reflect the fact that respondents are not temporarily without shelter, but are chronically homeless. One interviewee reported being homeless for the past 13 years, while another had lived in a tent by the river in Indianapolis intermittently for three years. The remaining 47 percent of respondents received additional income from selling items, other jobs, family/friends, or public benefits. A number of issues, such as health issues, disabilities, lack of identification, or criminal history, prevent panhandlers from engaging in other forms of work. One interviewee described his difficulty with finding a job because of a developmental disability he was diagnosed with as a child. “There are things I have to read 3-4 times before I can understand it. Some of these jobs won’t put up with that,” he said. Given the lack of additional income, many panhandlers say they treat panhandling like a full-time job, working most days of the week. More than half of those questioned indicated they had panhandled for the past 7 to 12 months, a sign that it was not a temporary source of income. Despite the hours spent panhandling, fewer than 1 in 5 of the survey participants reported typically making more than $40 a day, while more than half (56 percent) reported making $20 or less a day. The majority of individuals PPI surveyed invested the money received from panhandling in food. 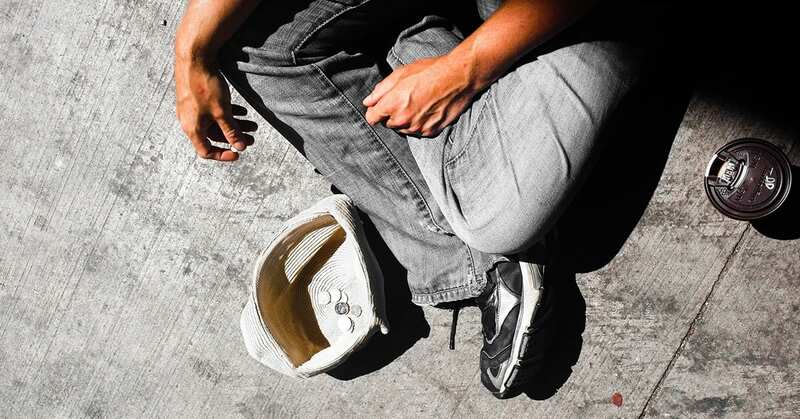 About 20 percent of the panhandlers surveyed reported spending their earnings on a place to stay, while another 20 percent admitted to purchasing drugs or alcohol with some of the money. More than half (53 percent) also used earnings to take care of other personal needs. A wide variety of homeless services exist in Indianapolis. When it comes to homeless panhandlers, outreach may be less of an issue than consistent engagement by service providers and panhandlers’ willingness to engage. Because help takes many forms and is offered by a variety of sources, it is possible that connection to services is underreported. Future research should rigorously attempt to determine the extent to which the homeless panhandling population is connected to services, and whether this significantly varies by demographics. Additional studies also will aim to understand panhandlers’ barriers to housing and employment, as well as the impact housing on panhandling habits for these individuals and others who become housed. As of the date of publication of this study, eight panhandlers have been housed. To read the full report, visit PPI’s website at this link.